In the city of Excelsis, Corporal Armand Callis of the city watch stumbles upon a dark secret and finds himself hunted, with only a witch hunter for companionship. 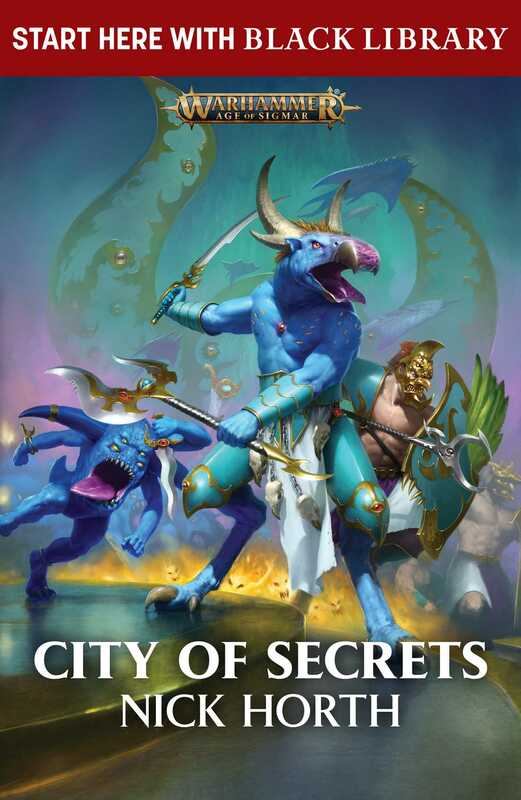 Nick Horth is the author of City of Secrets, his first Age of Sigmar novel. Nick works as a background writer for Games Workshop, crafting the worlds of Warhammer Age of Sigmar and Warhammer 40,000. He lives in Nottingham, UK.